Jarvis Cocker wrote in “Common People”,”You will never understand how it feels to live your life with no meaning or control and with nowhere left to go.” He could have been describing early 1990’s Tumwater, Washington. William E. Badgley’s film, “Kill All Redneck Pricks,” tells the tale of three friends who managed to overcome their surroundings and create something magnificent in the form of their band, KARP. Badgley uses archival (if such a term can be used to describe VHS tapes) footage interspersed with interviews of band members Jared Warren (bass/vocals), Chris Smith (guitar/vocals) and Scott Jernigan (drums) to tell the tale. The film also features interviews with Kathleen Hanna (Bikini Kill/Riot Grrrl), Justin Trosper (Unwound), Calvin Johnson (Beat Happening/K records), among others, to provide additional context. At its heart this a coming of age story. Playing punk rock becomes a means for the three friends to escape the constant abuse they receive from jocks at Tumwater High. Their efforts are rewarded as they find kindred spirits in the fertile Olympia punk scene of the early 1990s. 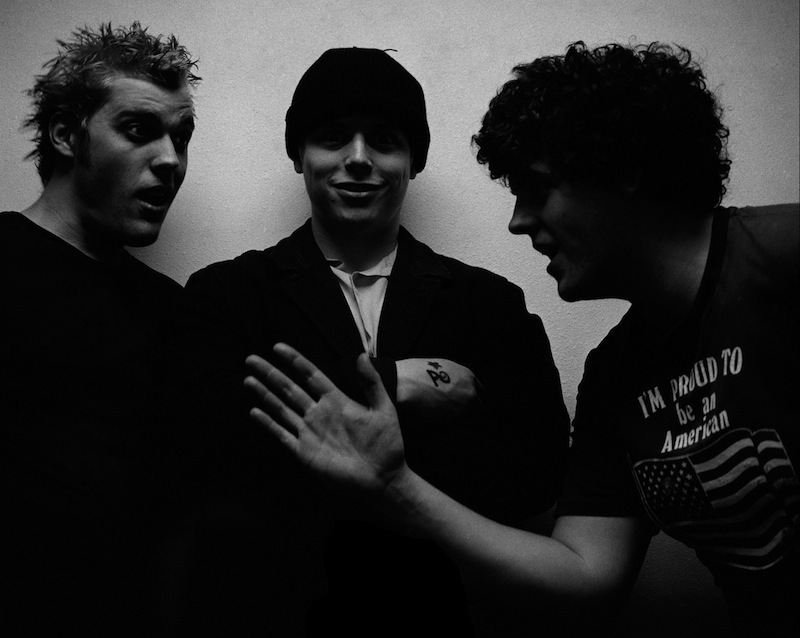 They would go on to record three full length albums on K Records before breaking up in 1998. Kill all Redneck Pricks is full of triumphant live footage from both the band’s early years as well as its heyday. Badgley includes two amazing live sets as extras on the DVD and they are well worth the time. The film also deals candidly with Smith’s drug abuse, depression and suicide attempt. Smith discusses his struggles and their ultimate destruction of both the band and his friendship with Warren and Jernigan. Jernigan’s death in a boating accident, just as he and Warren had begun to play music together again, is also addressed. The tragedy at the heart of their collective friendship makes the film somewhat bittersweet. Badgley creates a transcendent portrait of three friends from rural America who escape their circumstances and create something memorable. Check out http://karplives.com/ to find out where you can see or purchase this film, you won’t be disappointed.